Isn't it beautiful!! 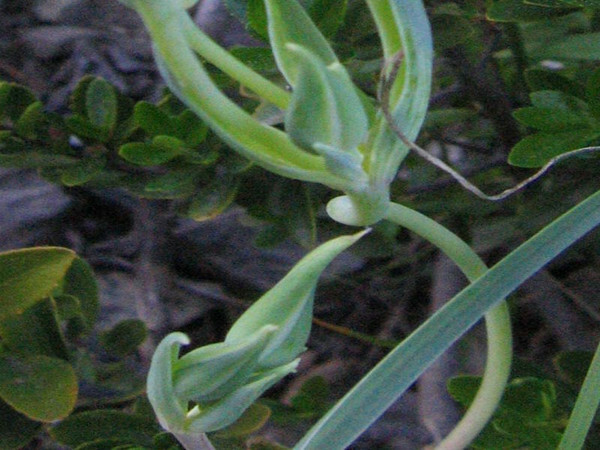 This macro shot shows the graceful peeking out of the pods from the flower. Plant location: Adams County Open Space, August 19, 2008. Habitats are sandy slopes and flats, common along washes, in deserts, on plains, and among pinon and juniper. Bloom period: May through October. 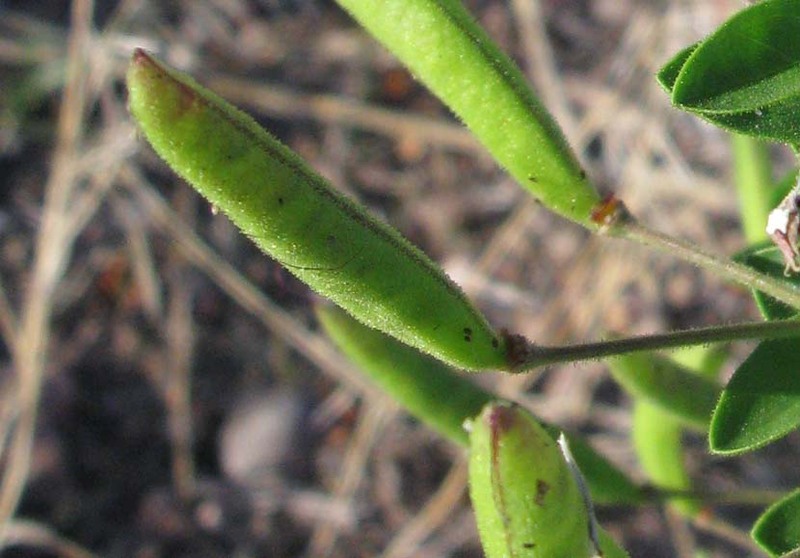 Close up of pods. 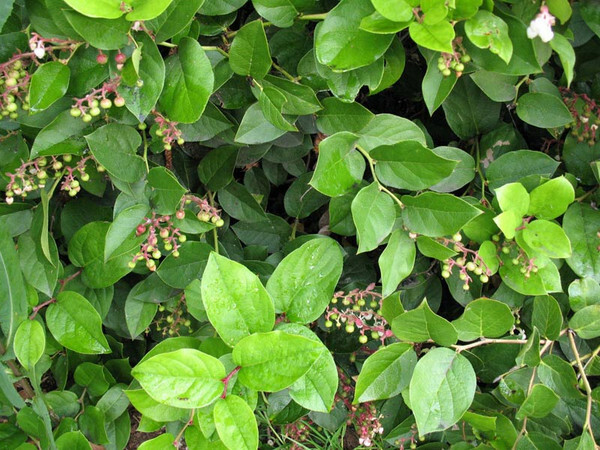 The plant offered a variety of food and other uses for Native Americans. See the bloom slide of the previous thumbnail for details. 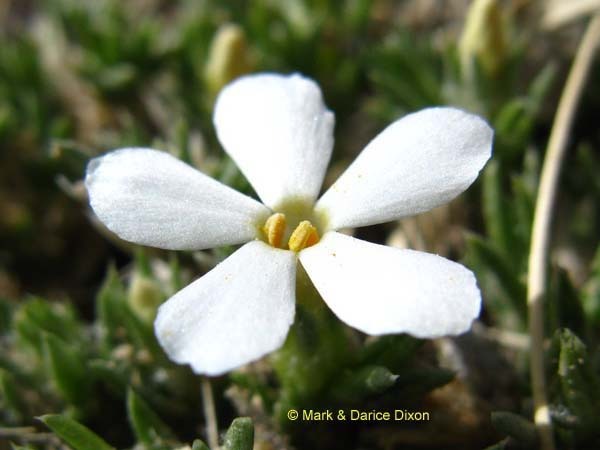 This very attractive small flower looks quite distinctive with it's unevenly shaped petals. It was an eye-catcher when we saw it on a hike. WIKIPEDIA has this on the genus: 'Lithophragma is a genus of flowering plants containing about twelve species native to western North America. 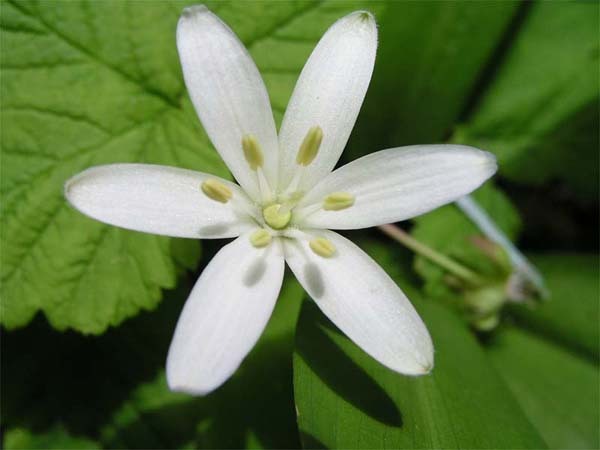 These plants are known generally as woodland stars. 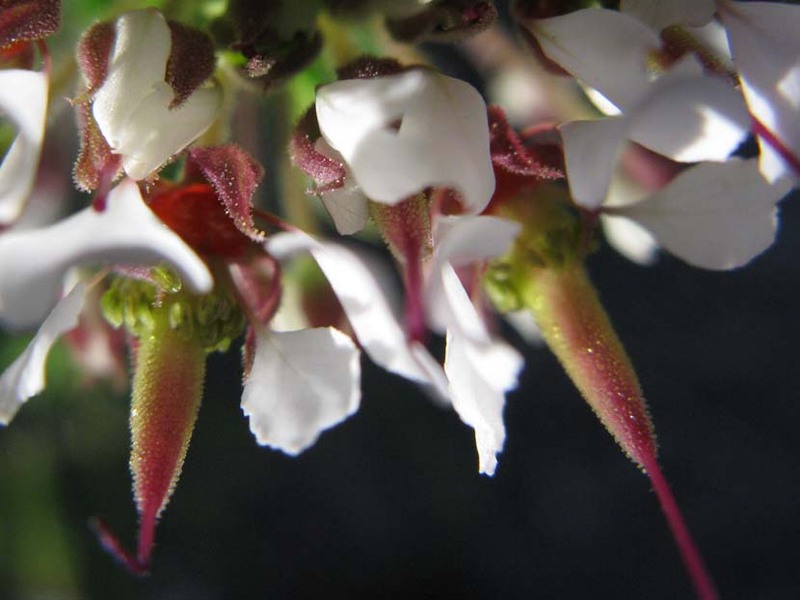 The petals of the flowers are usually bright white with deep, long lobes or teeth. 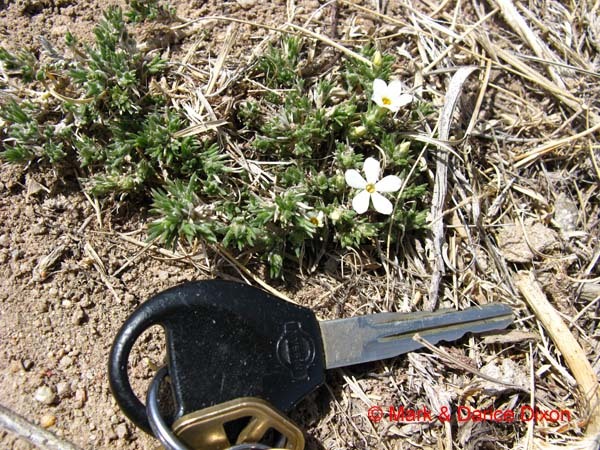 Each petal may look like three to five petals, when at closer inspection the lobes fuse into a single petal at its base. 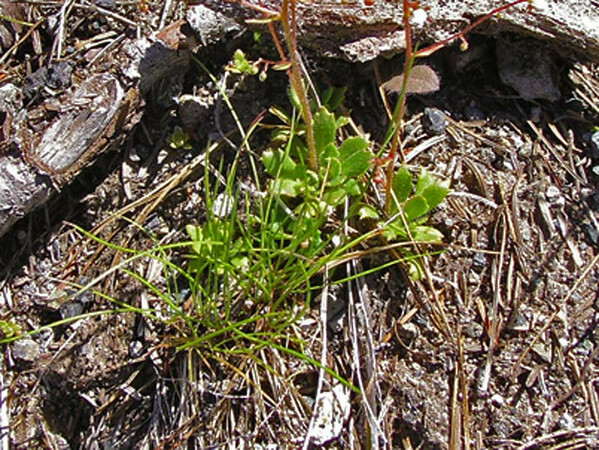 Most species reproduce via bulblets instead of seeds. 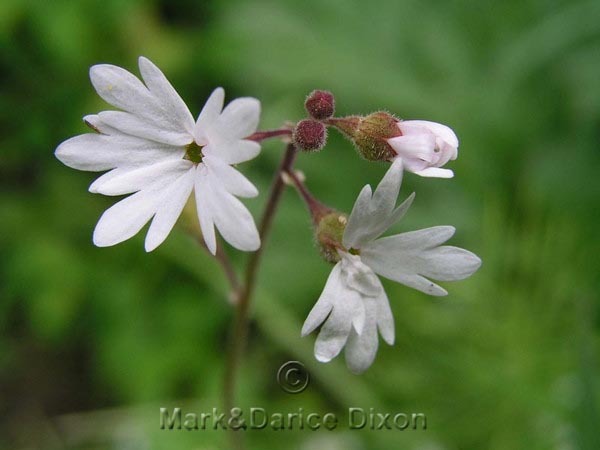 L. maximum is a federally listed endangered species.Species include: Lithophragma affine - San Francisco woodland star, Lithophragma bolanderi - Bolander's woodland star, Lithophragma campanulatum - Siskiyou Mountain woodland star, Lithophragma cymbalaria - mission woodland star, Lithophragma glabrum - bulbous woodland star, Lithophragma heterophyllum - hillside woodland star, Lithophragma maximum - San Clemente Island woodland star, Lithophragma parviflorum - smallflower woodland star, and Lithophragma tenellum - slender woodland star. 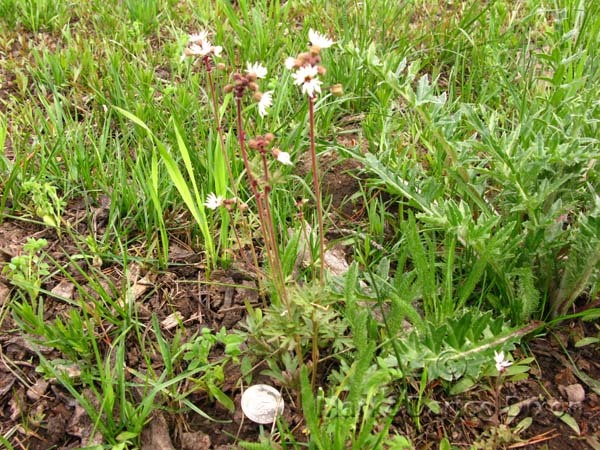 See the other members of the Saxifrage family - Spotted Saxifrage - Hall's Alumroot - - Snowball Saxifrage - Fringed Grass-of-Parnassus - Side-flowered Mitrewort - Rusty Saxifrage - Brooke Saxifrage - - found at: Plant location: These delicate flowers were in the Cle Elum Washington area, seen in early June 2007. Bloom period: March through June. The shining beauty of these flowers is so attractive. 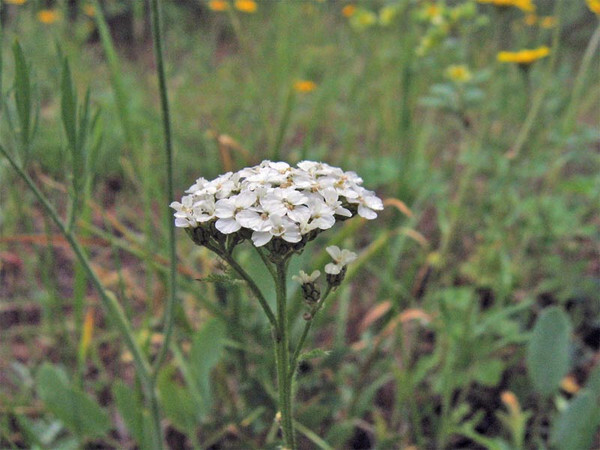 This perennial herb is native to North America. The plant description from WIKIPEDIA is: 'thick, scaly caudex topped with a stem a few centimeters in maximum length. The fleshy basal leaves form a dense rosette about the caudex. The leaves are red when new and turn green as they slowly produce chlorophyll. 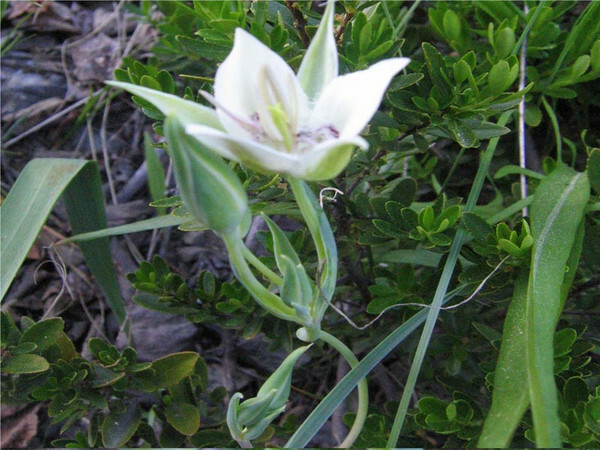 The inflorescence appears within the patch of leaves. 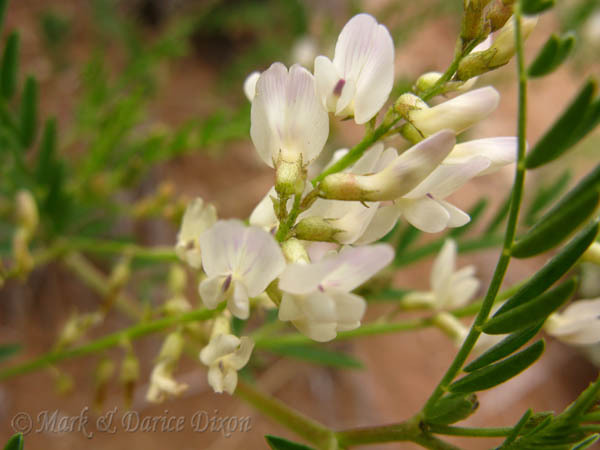 It is a dense cluster of 2 to 6 pink and white flowers, the petals up to two centimeters long.' End quote. A few memebers of this family live in the Arctic. 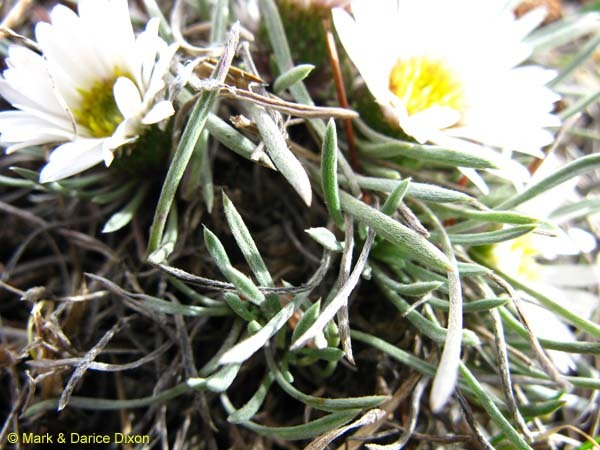 Typical of alpine plants Alpine Spring Beauty has a long taproot. USES: Per the website Plants for a Future this plant has a 3 apple edibility rating. 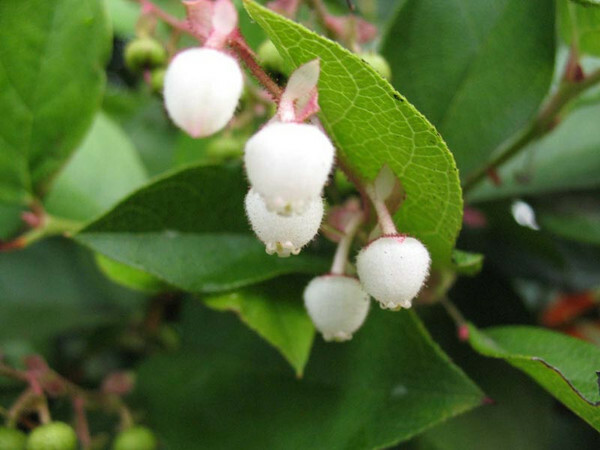 'The flowers, leaves, and roots are all edible. 'Root - raw or cooked. Peeled, then boiled or baked. The root is long, fleshy and up to 2.5cm thick. 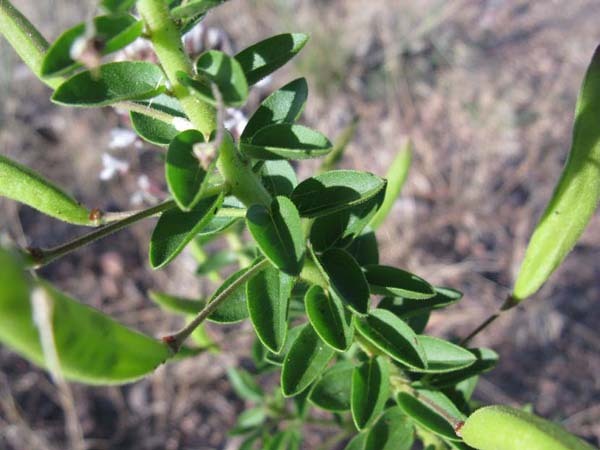 Leaves and flowering tops - raw or cooked as a potherb. Succulent, juicy and mild in flavour. Flowers - raw.' End quote. 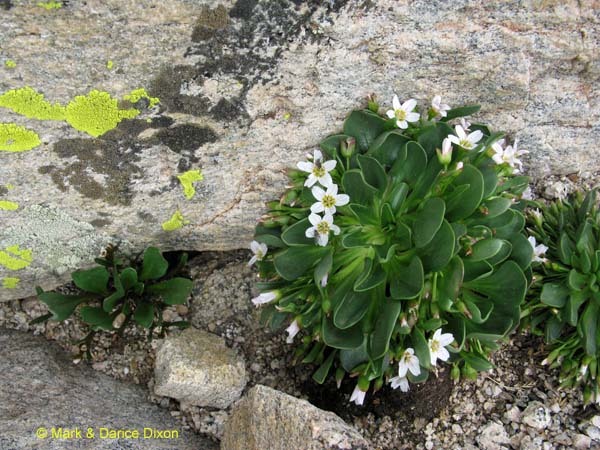 See the other Claytonia - Western Spring Beauty - at Plant location: Mt Evans, Colorado, all the way up top. Sighted on July 20, 2008. 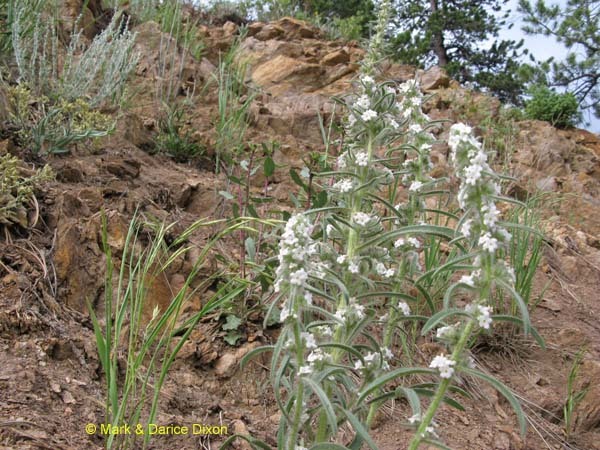 Alpine slopes and rocky tundras will be areas where this plant is found. They also favor rock crevices, and boulder fields. The USDA plant database has these United States and Canada: CA, CO, ID, MT, NM, NV, OR, UT, WA, WY; CAN (AB, BC, NT, YT) The lower left specimen is a more mature example. Younger plants (inset) are quite red, turning green as they produce chlorophyll. Bloom season: Early to late summer, approximately June to August. This beautiful flower lives up to it's name - elegant! There is a yellow variant of this bloom that we hope to see someday. Plant location: We saw this one in mid May of 2007 while hiking the Ingalls Creek Trail in Washington state. Bloom period: The bloom period is from May to June, a short cycle so soak it in thoroughly when you can. 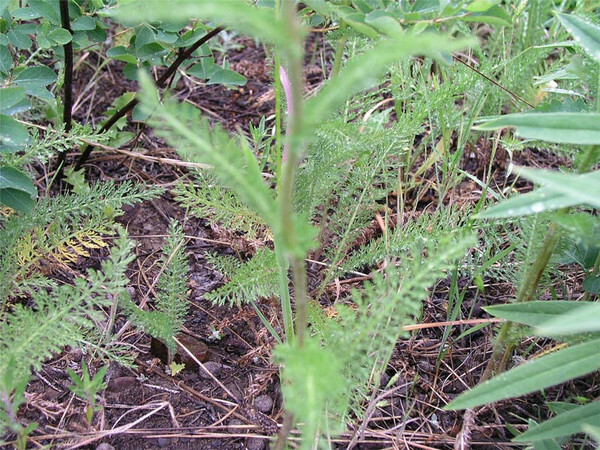 Yarrow -or- Milfoil (Achillea millefolium), family Asteraceae (Aster/Sunflower). 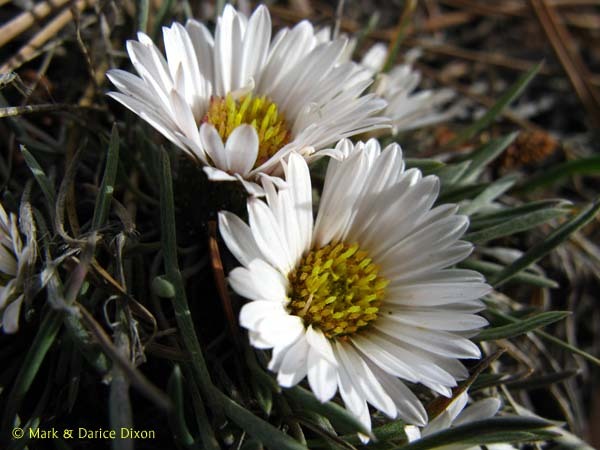 The flowers may also be pink - see the National Audubon Society Field Guide to Wildflowers. The leaves are feathered and to me are easily mistaken for wild carrot until seen side by side. 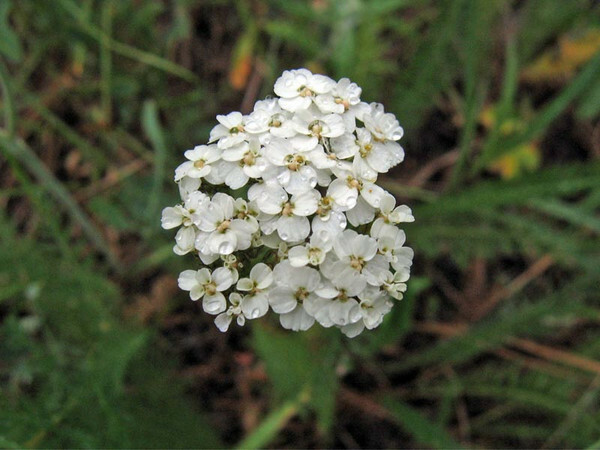 Factoid from the National Audubon: "Spanish Californians once used the leaves of the Yarrow steeped in water to treat cuts and bruises and to stop bleeding. Plant location: Cle Elum Washington - June 9, 2007 Bloom period: Yarrow can bloom from March through October, a generous period to enjoy these bold statements in white. 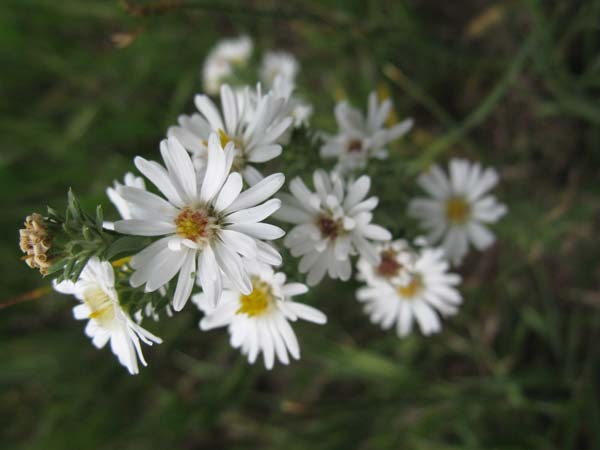 Smooth White Aster (Symphyotrichum porteri), family Asteraceae (Aster/Sunflower). 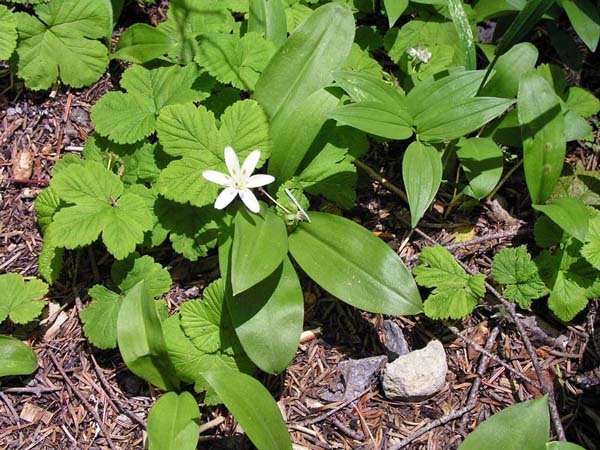 Not only is this plant a pretty wildflower found in many natural areas but it also has a widespread use in the Pacific Northwest region. The berries still provide food for wildlife off the bush and humans in jellies and pies. 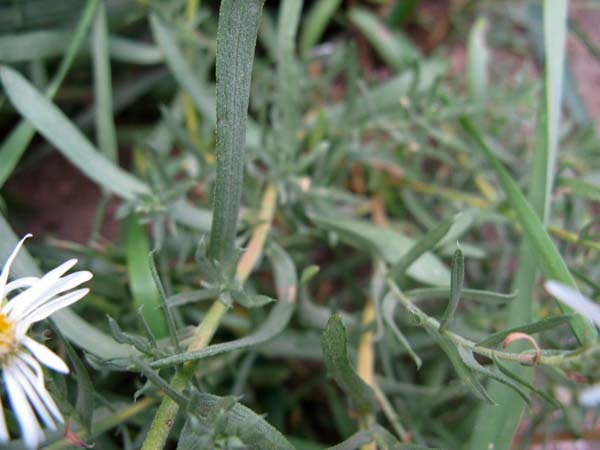 The plant is also harvested for use in plant arrangements by florists. Plant location: This was photographed on a walk in our neighborhood in Tukwila Washington in late June 2007. Bloom period: May through July. 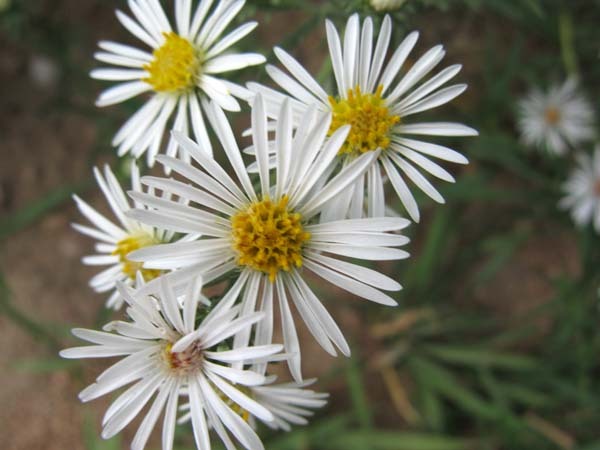 Also known as Symphyotrichum falcatum. There are about 90 species in the genus. This one attracts butterflies and birds and is a perennial herb. 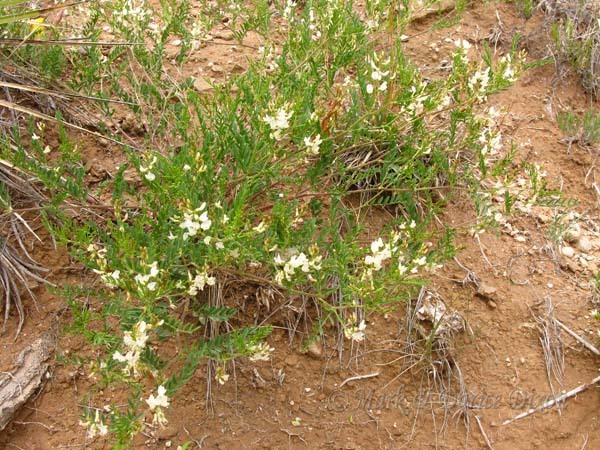 USES: Two varieties of falcatum are know for uses by Native Americans; Commutatum - Zuni Drug (Dermatological Aid) Ground blossoms mixed with yucca suds and used used as a strengthening wash for newborn infants and make their hair grow. 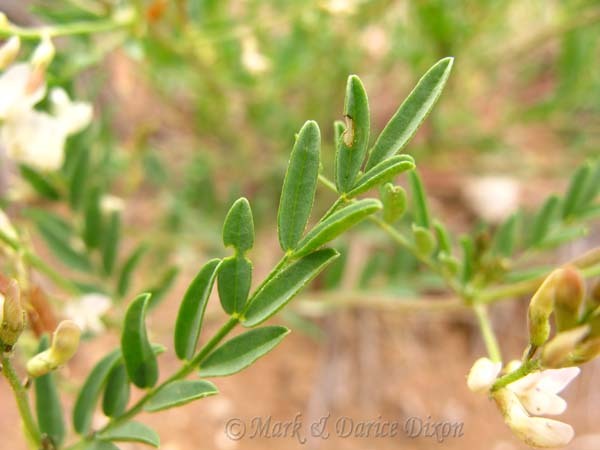 Crassulum - Navajo, Ramah Drug (Snake Bite Remedy) Compound decoction of plant taken and used as lotion for snake bite. Plant location: Photographed in the Creedmore Lakes area, Colorado, August 31, 2008. Found in the following United States: AK, AZ, CO, ID, MN, MT, ND, NM, SD, UT, WA, WY. Bloom season: July to October. We like Queen's Cup for it's simplicity. It presents a pleasing symmetry with an appealing luminescence from it's nicely shaped white petals. A very nice bright spot on a hike. And there is a lot of it. Fairly common and widely distributed plants. 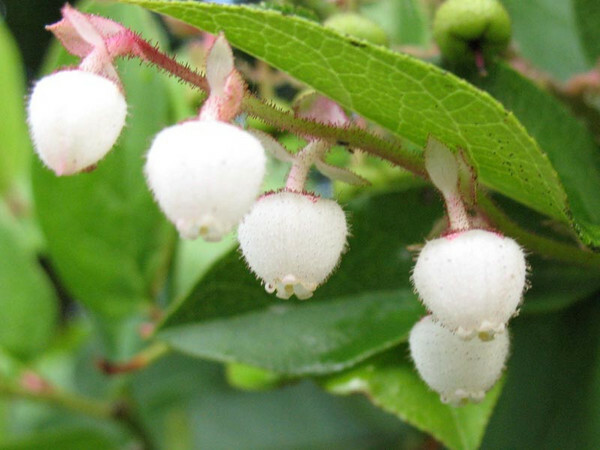 The plant produces flowers one at a time, or 2 to 3 at most which is preceeded by a blue berry. I am interestested in photographing the berry to have a digital documentation of it on this site. 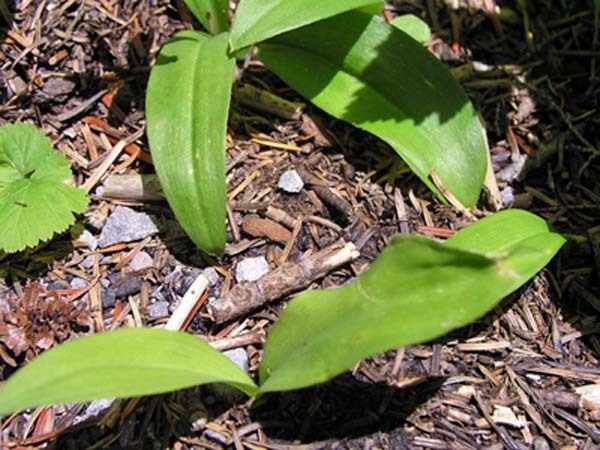 For now, WIKIPEDIA has a very good photograph, search by genus name only, Clintonia, to see it. 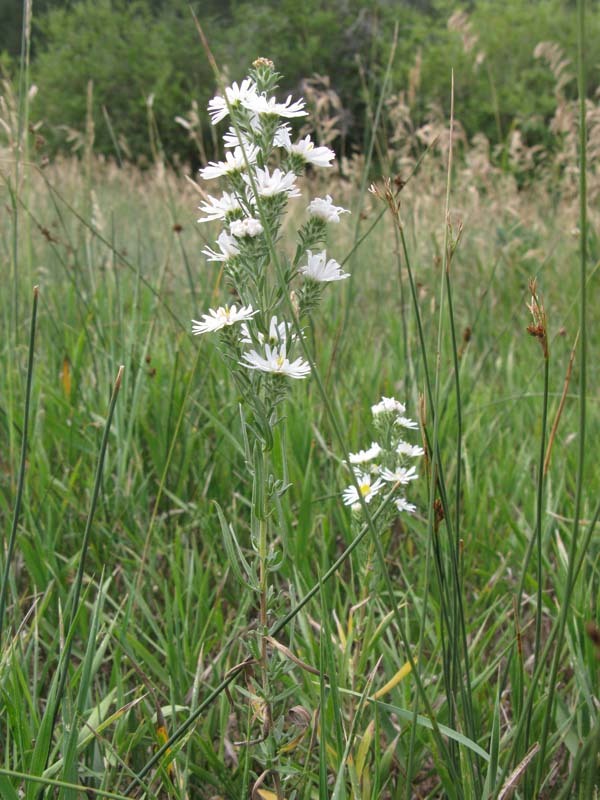 The plant is native to North America. 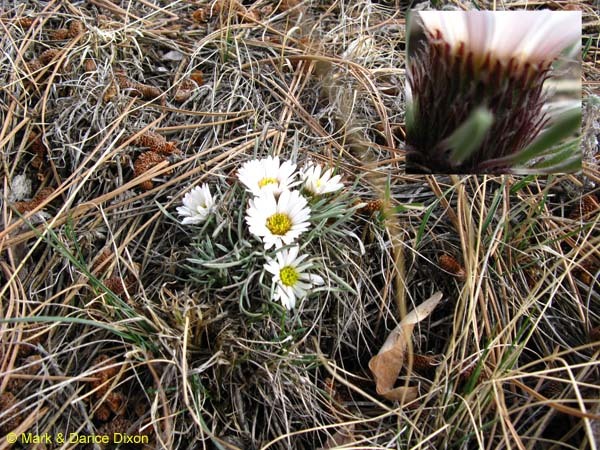 Plant location: Photographed on Larch Mountain, Oregon - July 1, 2007 Bloom period: this commonly found perennial blooms from May through July. There are 26 species of Townsendia. 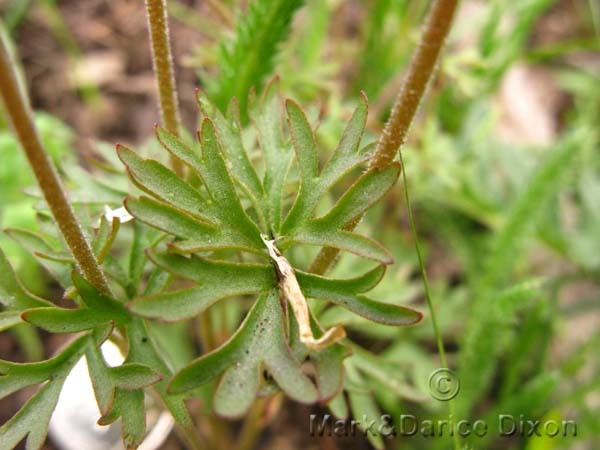 This is a perennial herb but there are annuals and biennials also. Such cheerful pretty flowers, it's always pleasing to see them. They are native to western North America. The flowers are shades of pink, purple, blue, white, and, uncommonly, yellow. In some areas these will flower in late winter. Plant location: Photographed hiking Dadd Gulch in the Cache La Poudre Canyon, Colorado, on April 10, 2009. Found in the following United States: AK, CO, ID, MT, ND, NE, SD, UT, WY. Bloom season: February and March. 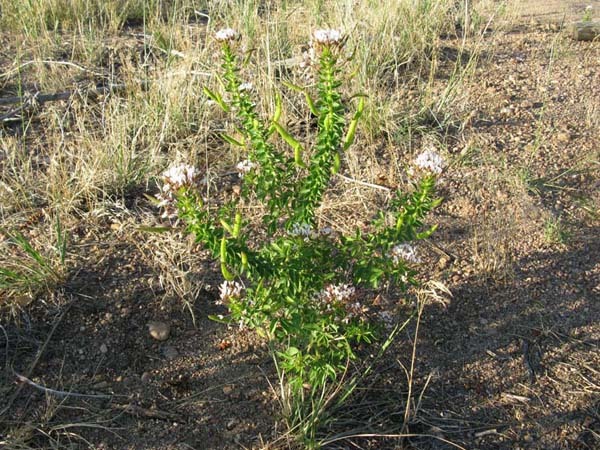 This plant is another member of genera with huge numbers - over 400 - and is the largest genus in the family! 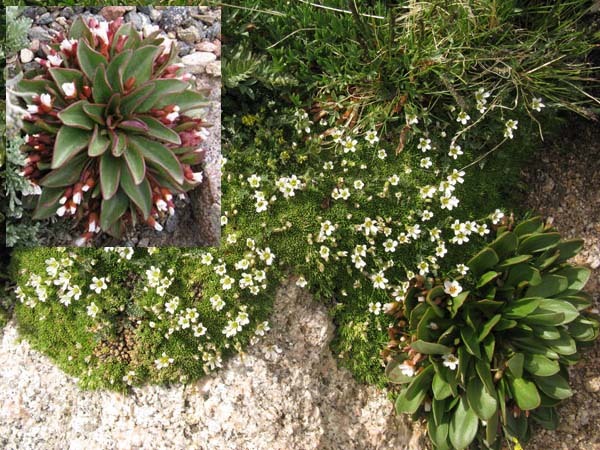 A factoid from WIKIPEDIA is this: 'The Latin word Saxifraga comes from Latin saxum, "rock", and frangere, "to break". 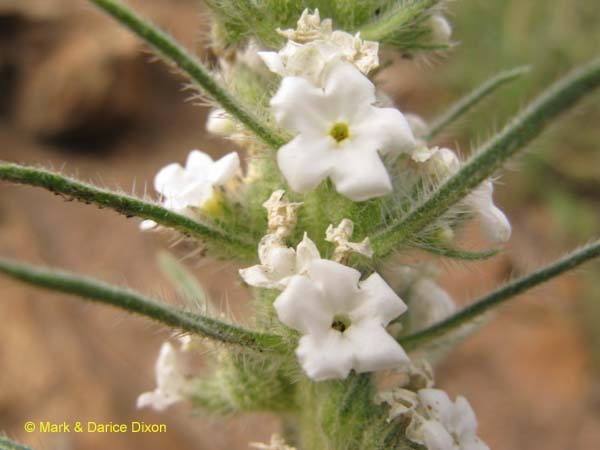 These plants are known for their ability to settle in the cracks of rocks.' End quote. 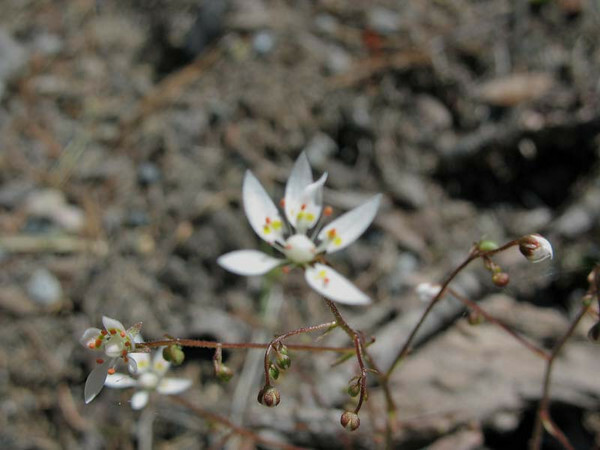 Rusty Saxifrage is widely distributed in Washington, Oregon, and down into areas of California, as well as up into Canada. For a common plant we must admit we never saw it until the season of 2007, and it's true beauty is only revealed in our opinion until seen magnified or, in the case of digital photography, a macro exposure. It is a TINY bloom! 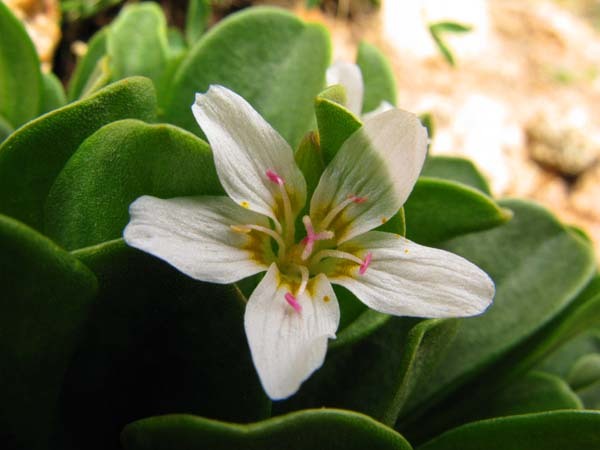 It grows in elevations of up to 8000 feet. 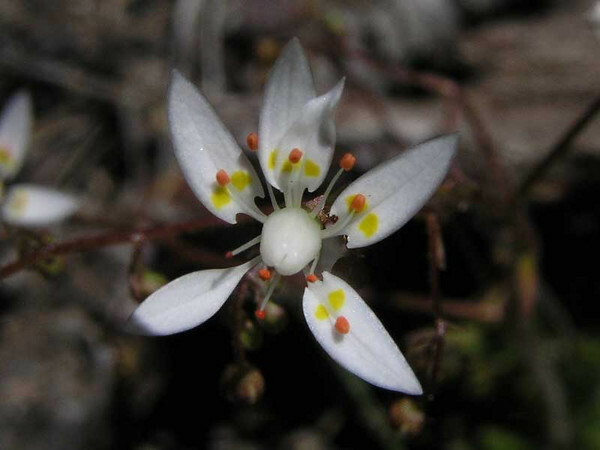 See the other members of the Saxifrage family - Spotted Saxifrage - Hall's Alumroot - - Snowball Saxifrage - Fringed Grass-of-Parnassus - Side-flowered Mitrewort - Small-flowered Prairie Star - Brooke Saxifrage - - found at: Plant location: We saw these flowers hiking Mt Rainier (Washington state) on the way to the Naches Loop Trail. Bloom period: summer blooming perennial, June through August. 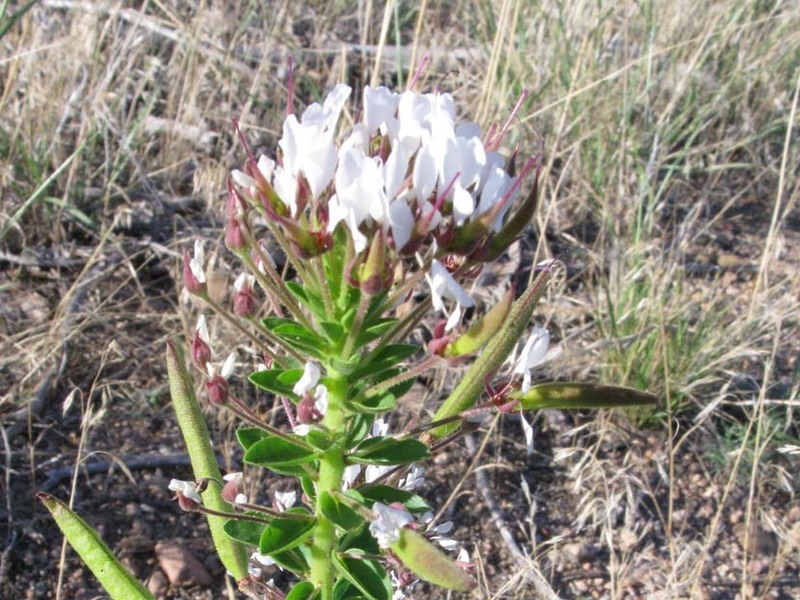 This immature plant was the one and only flower in bloom in the Pawnee Butte trail. We have doubt about this species. Still looking at identification data. Plant location: Pawnee Butte, Colorado, on April 9, 2009. Bloom season: April to June. Oh good heavens, what a name!! Well, this is a striking bloom and plant altogether. With the pretty white petals, emerging pods, and ladder of downy pretty leaves I must say I LOVE IT! We have run into our share of useful-to-human plants lately. More on that. There is a botanic shuffle going on with the classification of this genus. 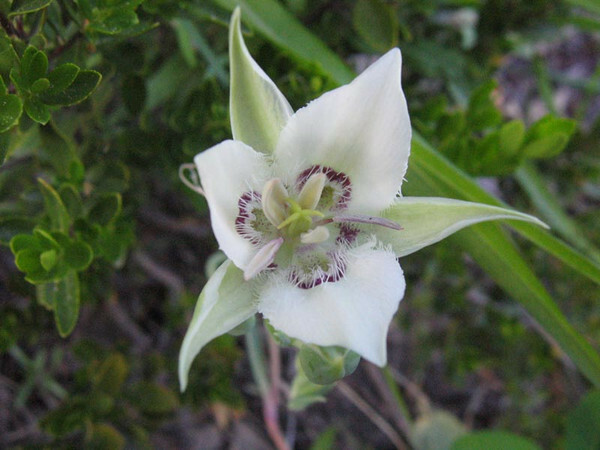 William Weber shows us this plant in Colorado as in the Capparaceae family while Wikipedia mentions some have placed it in a smaller newer family, Cleomaceae. It hosts 10 genera and 300 species. This is based on DNA evidence. 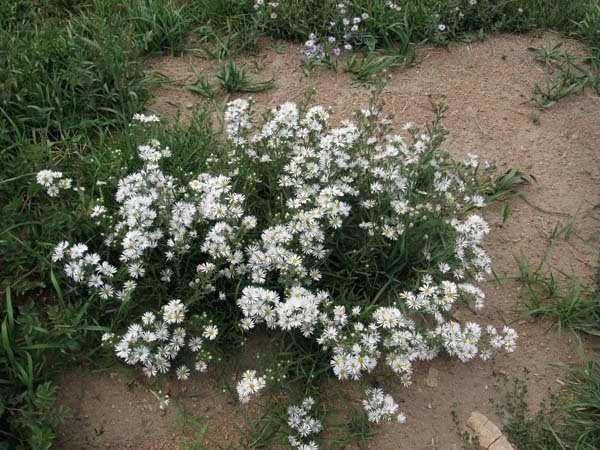 There are only 5 species in Polanisia; redwhisker clammyweed, large clammyweed, James' clammyweed, slenderleaf clammyweed, and Mexican clammyweed. Our species is by far the most prevelant. 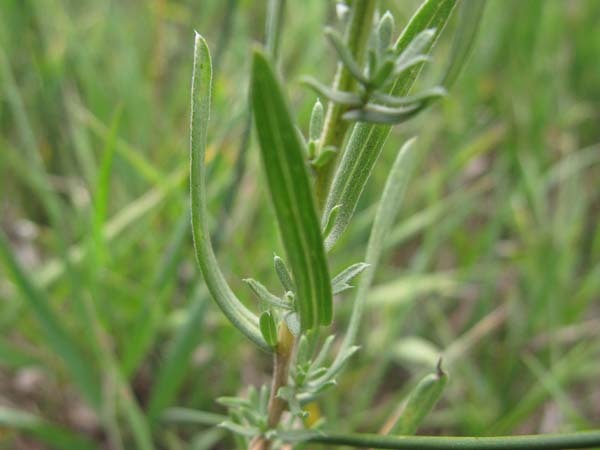 This annual herb is edible and was smoked by Native American tribes. The details are; 'Pueblo Food (Dried Food) Young plants boiled, pressed, rolled into balls, dried and stored for winter use - Pueblo Food (Soup) Plant made into a stew with wild onions, wild celery, tallow or bits of meat, boiled with a pinch of salt and eaten as greens - Isleta Other (Ceremonial Items) Dried, rubbed leaves rolled in corn husks to make ceremonial cigarettes - Zuni Other (Ceremonial Items) Switches, roots and blossoms used ceremonially.' Plant location: Adams County Open Space, August 19, 2008. 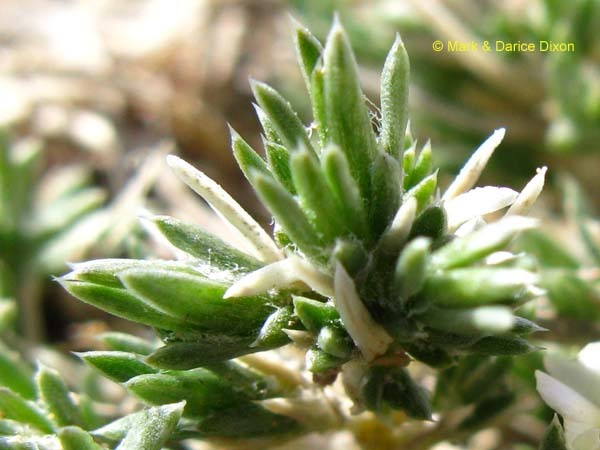 Habitats are sandy slopes and flats, common along washes, in deserts, on plains, and among pinon and juniper. Bloom period: May through October. 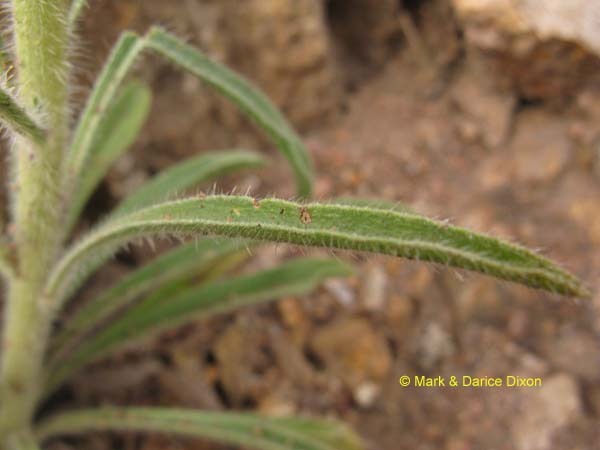 One of 119 species in the Cryptantha genus, this species is found only in Colorado and Wyoming. The foliage is extremely hairy. It is a biennial herb. It is said that as the years go by the plants will develop into trees. Plant location: Seen in the Rocky Mountain foothills in Colorado state at Hwy 72 and Plainview Road. The date was July 11, 2008. Bloom season: May to August, in Colorado.